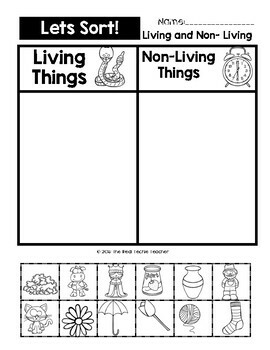 These quick sorts are a great for students of all ages and abilities to learn about living and non-living things. Great for a Math or Science center. 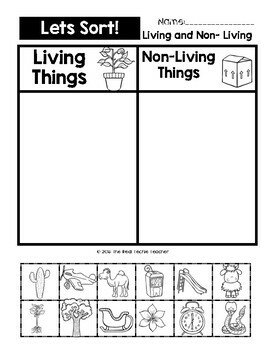 Also an easy Pre or Post assessment of students knowledge about living and non-living things. 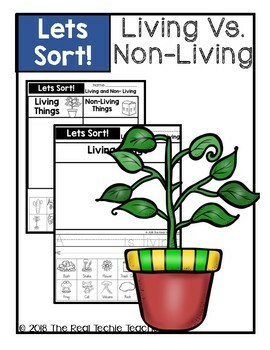 2 Versions of sorting are included 2-Living vs Non-living picture sorting pages, 2-Individual living and non-living sorts with sentence frame. 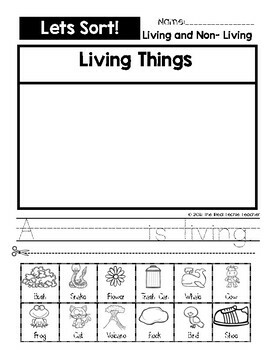 Suitable for students of all ages and abilities.